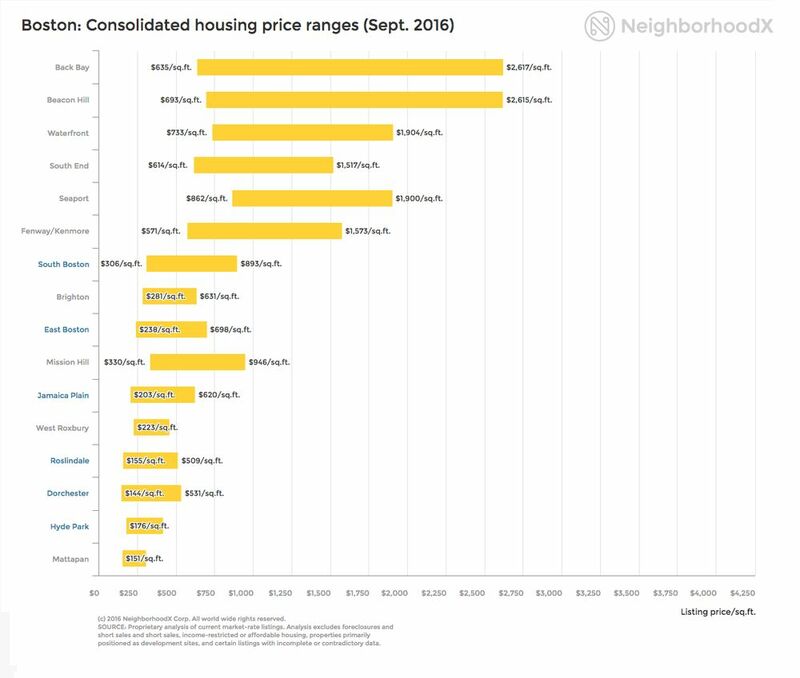 Boston home prices at the end of September ranged from $144 a square foot in Dorchester to $2,617 a square foot in Back Bay, according to a real estate research site, NeighborhoodX. Not sure where to start? Reach out to one of our agents for a free consultation.